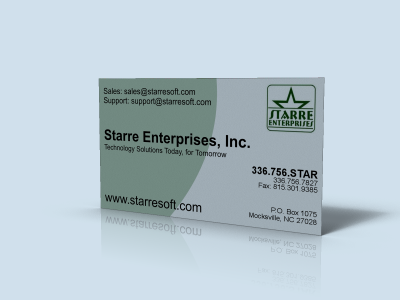 Starre Software - Technology Solutions Today, for Tomorrow ! No Technical or Customer support is available at this number. Our offices are closed for all U.S. Government recognized Holidays. © 1993 - 2018 Starre Enterprises, Inc. All Rights Reserved.